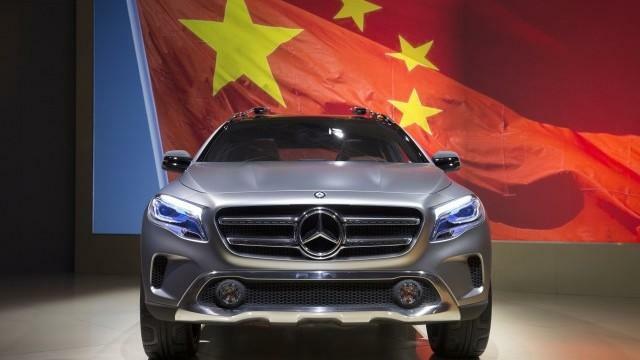 China Halts Imports Of US-Made Mercedes SUVs Due To "Brake Issues"
We are sure it's just a coincidence, but - amid all the trade tensions between US and China - Shanghai customs authorities have suddenly blocked the importations of all US-manufactured Mercedes Benz SUVs. Reuters reports that, according to a Chinese customs document circulating on Chinese social media, Mercedes-Benz GLE and GLS models, built in the United States between May 4 and June 12, 2018, have a brake issue which poses a “safety risk." So just another 'Stealth' play in the trade war? With offshore yuan relatively stable this last week, amid the looming $16 billion next phase of tariffs, maybe this is a way to hit Europe and US at the same time?